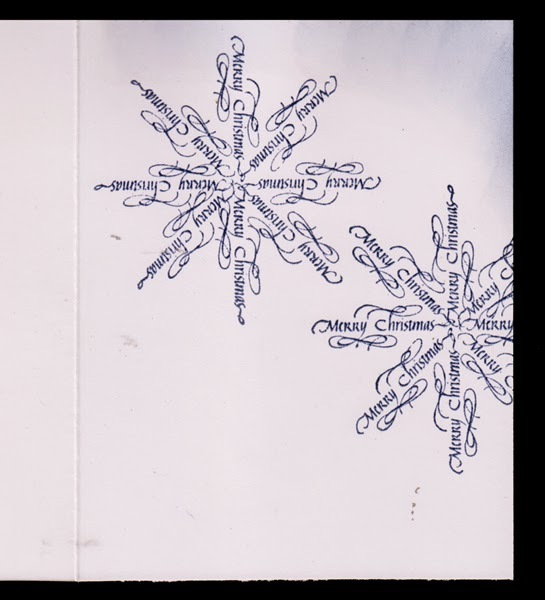 I love the Impression Obsession snowflake, a beautiful design, but what a pain to die cut... even with my Crossover machine. I've also tried it with my Cuttlebug and my Big Shot Pro... Frustrating!!! I did cut out a bunch. I also made myself an eCut file of the outside edge which I ran through my machine with the die and my tan mat to emboss the design. That worked well, then hit the high points direct to paper with Distress pads. I really liked the way those turned out... but that's for a later post. These cards use the actual die cut elements... You can see all the details and descriptions by clicking on any image. Enjoy. Beautiful cards! I love the marbleizing on the first one! thanks for sharing with us at Squigglefly. 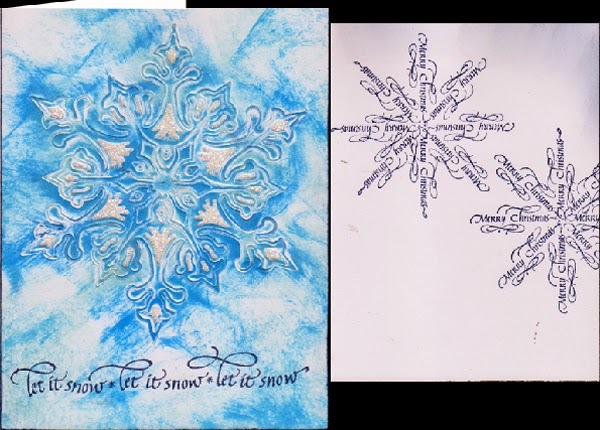 Beautiful cards...Thanks for playing along with us at Fab'n'Funky this week. 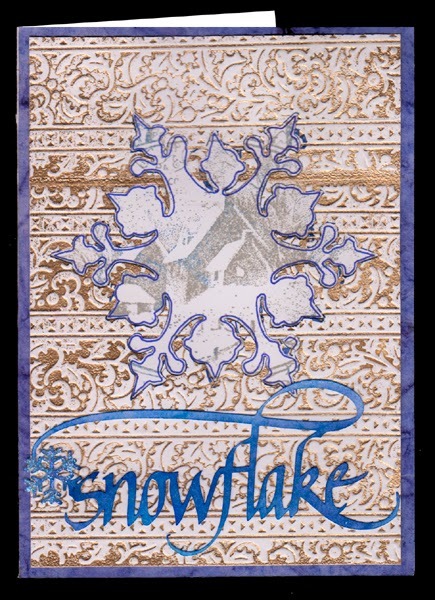 Love that blue and white snowflake! Very impressionistic-looking, the way you colored it! Thanks for playing along with us at the Simon Says Stamp Wednesday challenge! So gorgeous! The one with the deer is so serene!! Thank you for joining us at Through the Craft Room Door! 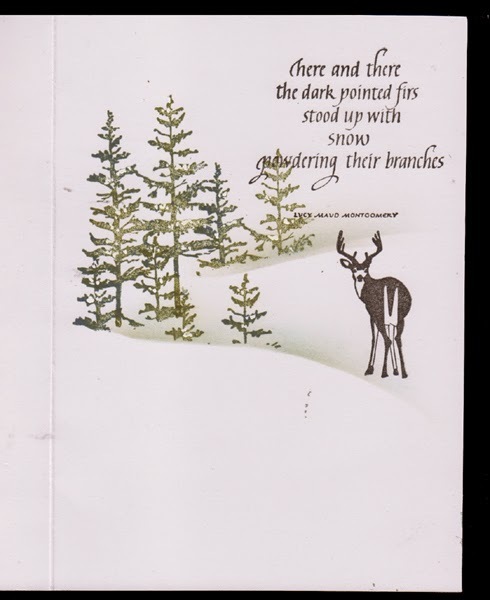 beautiful cards Yogi love the card with the deer. Your cards turned out gorgeous. My favorite is the one with that scene and a deer on the inside. It's my favorite animal. And I am in awe of the front of that card. Wow! Thanks so much for joining us at CCCB! Fabulous! It may have been a pain to cut but the result is gorgeous! Thanks for joining us at Sweet Stampin' this week . What a beautiful cards! I'm sorry abut the problems cutting that die ... it can be so frustrating! Thanks so much for playing along at CCCB!! 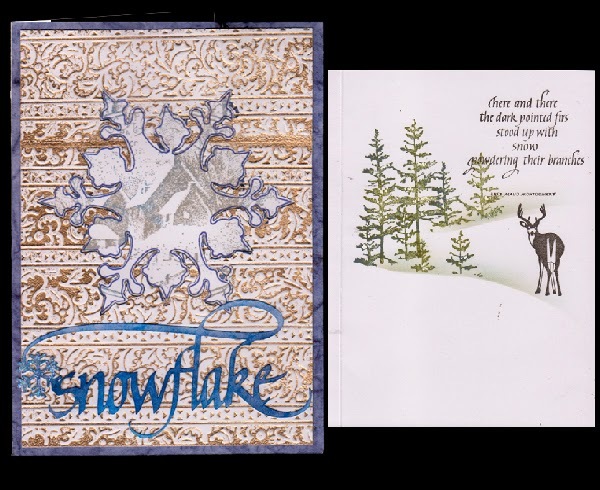 So pretty, love the snow die cut, and the sentiment too.. Very nice. Thanks for playing our Die Cuts Challenge at 4 Crafty Chicks. 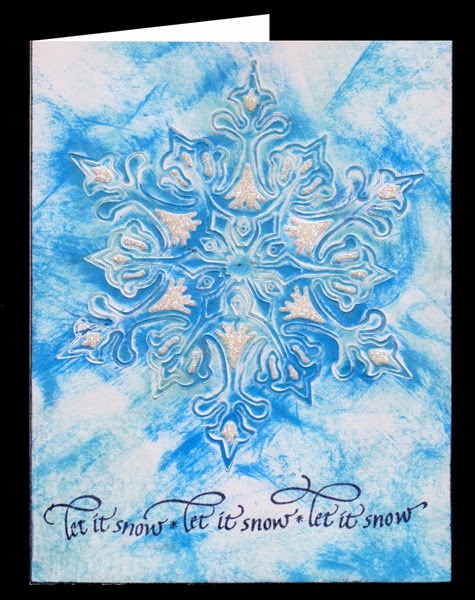 Such beautiful cards and techniques to create them,Yogi.Great work.Thanks for joining us at Crafty Sentiments.Hope to see you again next week. What beautiful cards, great techniques! !!! Thanks so much for sharing this week at CCCB :-) Have a great week! Oh, that blue snowflake is unbelievably beautiful, Yogi! This is a wonderful creation with great attention to detail and perfect for our ‘CHRISTMAS’ challenge. Thanks for sharing your talent with us. Good luck. Great card. Thanks for joining us at Fussy & Fancy Challenges. Wow Beautiful Cards Yogi!!!!!! Some of those dies are very challenging:) Great work!! Thanks for joining in the Holiday fun at Fussy and Fancy! !